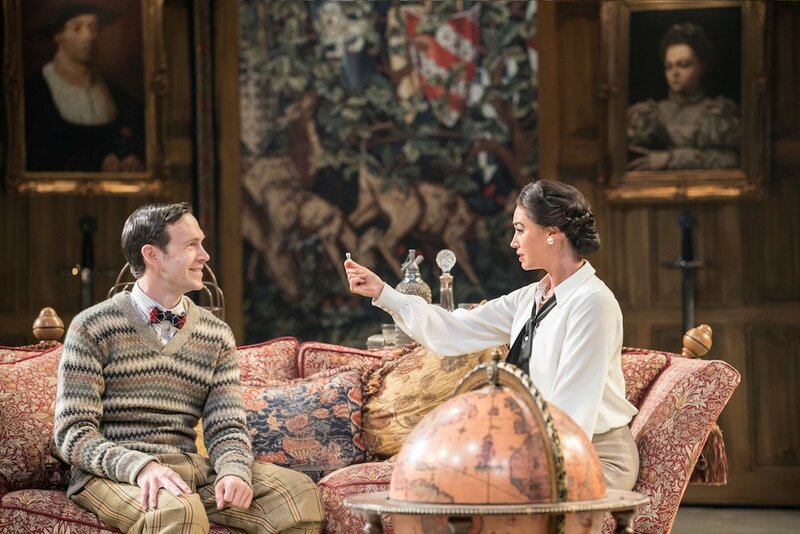 As the audience rose, cheering, to its feet on opening night, it was clear Chichester Festival Theatre had another hit musical on its hands. This year’s summer production, directed by Daniel Evans and choreographed by Alistair David, is a joyful take on the 30s fish out-of-water comedy Me & My Girl. 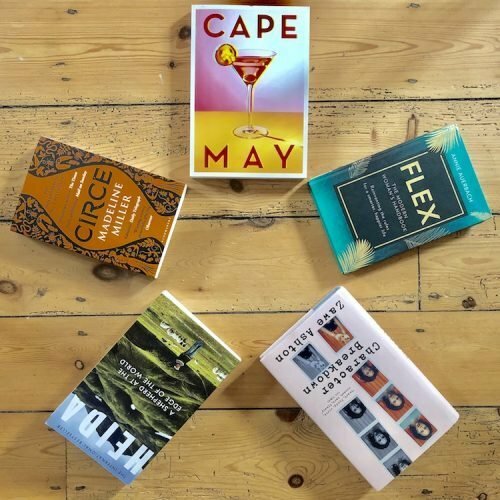 It’s the tale of cockney barrow boy Bill – who discovers he’s the new Earl of Hareford and the Duchess aunt who tries to bring him up to scratch for the aristocracy, plotting to separate him from his girlfriend Sally in the process because, after all, “love is for the middle classes”. The Lambeth Walk, The Sun Has Got His Hat On and Leaning on a Lampost are the famous numbers and Matt Lucas (as Bill) and Caroline Quentin (as the Duchess) are the stars. 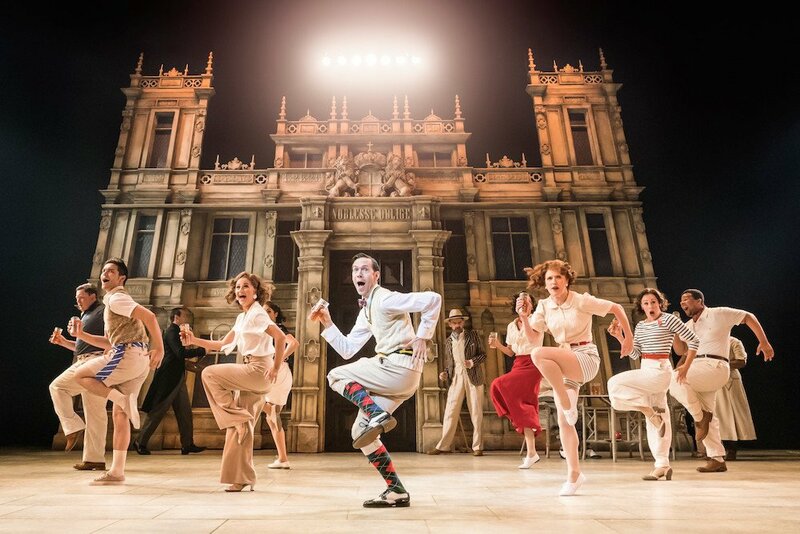 Chichester’s production, is set in the Art Deco period when the original musical (it was revised in the 1980s) was written, so we get gorgeous 30s dresses for a ball and swimsuits for the Sun Has Got his Hat On (played as an increasingly drunken romp through musical styles). The music hall era which inspired the original words and music is referenced in some skits and the Jazz era gets a look in too in some numbers. There are plenty of later cultural references too including a wonderful dance sequence in which I recognised moves from Madonna’s Material Girl (itself a spoof on Marilyn Monroe’s Diamonds Are a Girl’s Best Friend) as the not-so-ladylike Lady Jaqueline sings of her plans to seduce the new Earl for his money. It’s a shiny, energetic production with several tap numbers (one in wellies!) 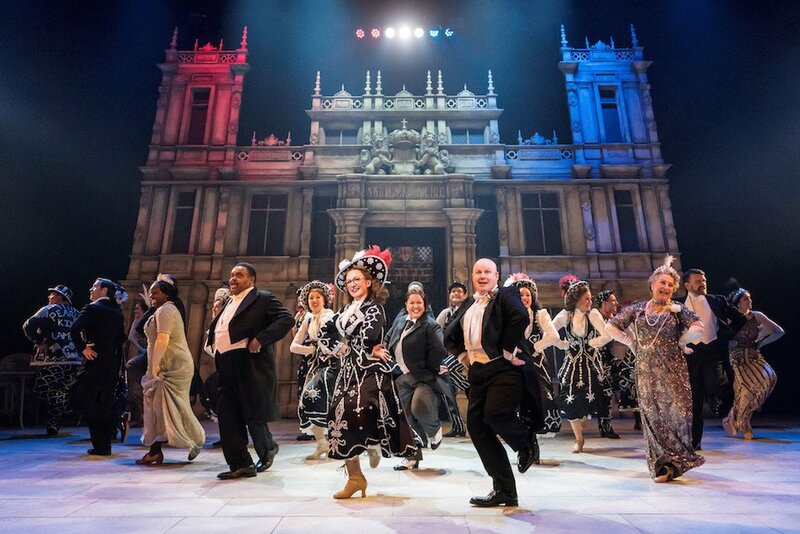 The set pieces like The Lambeth Walk – as pearly kings and queens invade a ball – build beautifully into rousing scenes. 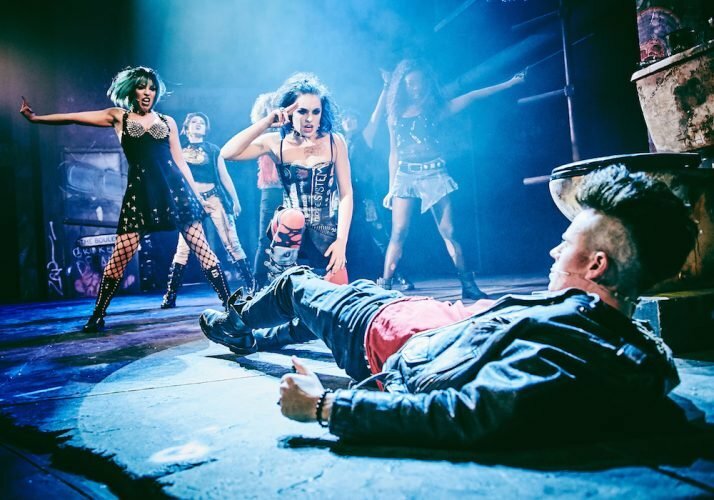 The cast all have cracking singing voices to boot, hitting operatic heights in places. 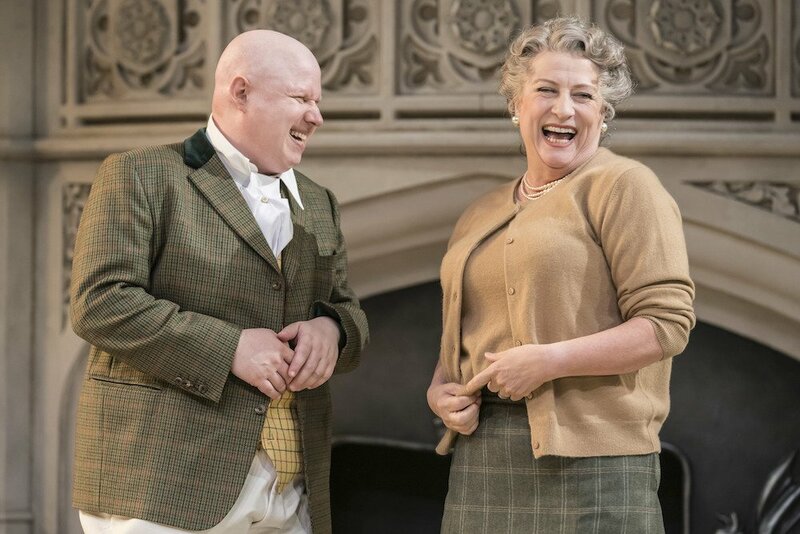 Sadly Matt Lucas lost his voice and had to pull out of opening night on doctor’s orders to rest his throat. 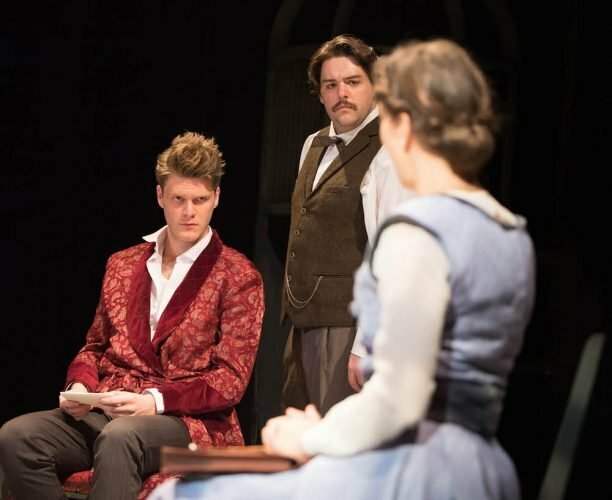 Understudy Ryan Pidgen, hovering somewhere between Lucas and James Corden, did an outstanding job in his place however, on just a few hours swift rehearsal, and won huge cheers from the audience. It was clear still to see how the part had been moulded around Lucas. Through certain clowning moments and one-liners you could virtually see him, even as he languished at home with his hot lemon. 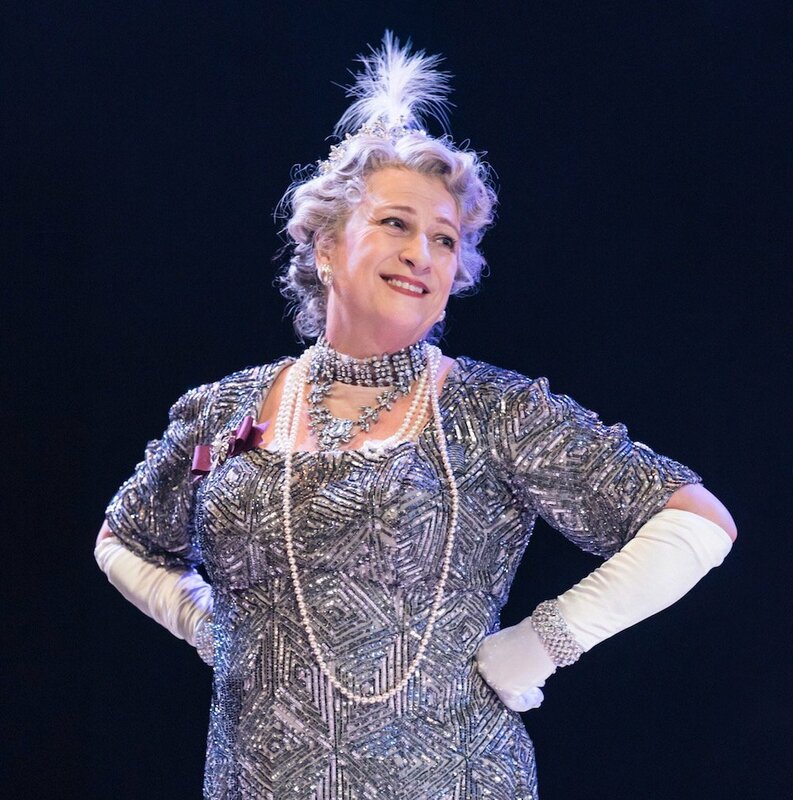 Caroline Quentin, well known as a comic actress from her Men Behaving Badly days, has plenty of theatre under her belt and was an expressive Duchess, allowing you to glimpse a sparkling wit beneath her frumpy tweeds and frowns. There’s a particularly enjoyable fake party scene in which she fawns over invisible guests. It was her singing voice that was the most pleasant surprise however hitting unexpected high notes. Caroline Quentin as Maria, Duchess of Dene, photo by Johan Persson. For me Alex Young as Sally was the real stand out. Physically relaxed and natural in the role and immediately likeable. Her jaunty pub number Take It On the Chin, as she sings bravely of leaving Bill for his own good is quite heartbreaking, even though you know it’ll all come good in the end. Siubhan Harrison as would-be seductress Lady Jaqueline was also great in some demanding scenes including a hilarious number where she performs near acrobatics over Bill’s bathtub as she sings You Would If you Could. 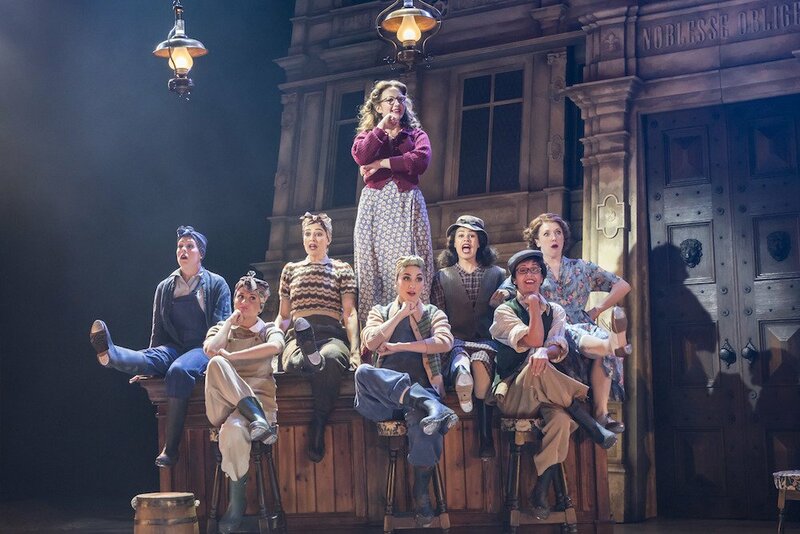 I was concerned that such an old fashioned musical might be a bit of a yawn and the score does lack the rousing solos of the likes of Les Mis but the humour and sheer quality of the cast and production values won me over. In fact, I think the simple plot and element of sophisticated pantomime mean older children would really enjoy the show as well as adults. Get your reddies out and grab some tickets now. Agree, and a lucky break for Ryan I hope – a star is born eh?